complex business. You need a supplier with the specic experience and full product range to help you optimise by simulating real operating space utilisation and throughput. 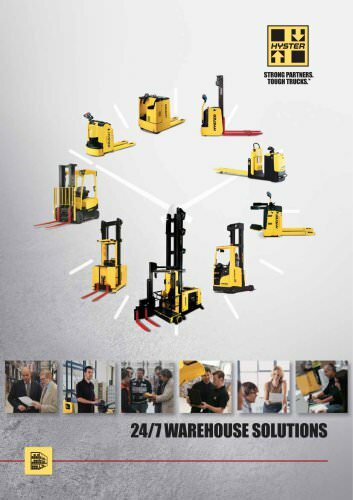 conditions, in order to arrive To assist customers in achieving at the most productive truck maximum efciency, Hyster has selection, based on current or developed a unique computer projected requirements. simulation tool. Our specialists are able to propose optimum solutions for the layout and pallet ow in existing, new or planned warehouse spaces.